Junior trains customer service reps who have to be highly knowledgeable as customers rely on Life Extension to provide the latest information in the field of nutritional science and natural healing. 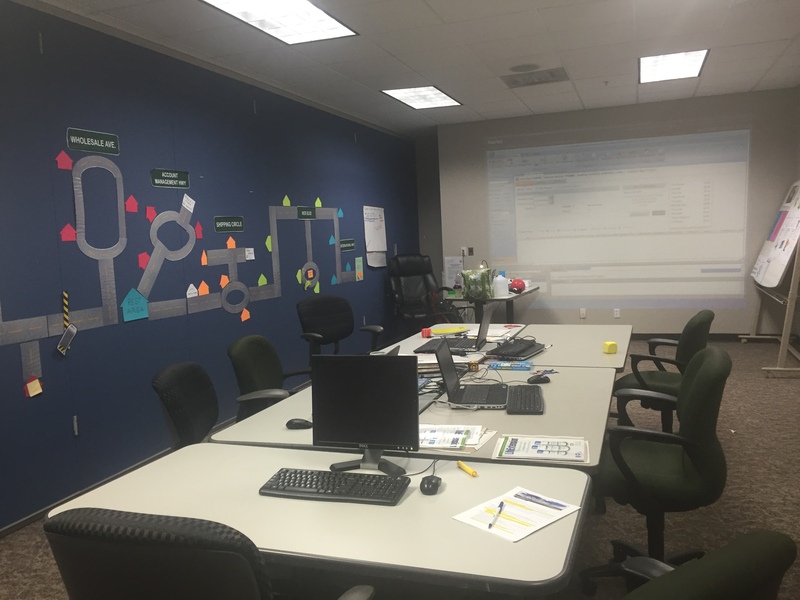 In the flagship two-week course for order takers who have been promoted to level 2 customer service reps capable of dispensing detailed product information, there is a lot for participants to master, and it can be overwhelming. How to get people to retain and use what they learn during the two-week program is the main challenge. Using the theme of a car race, Junior has a large race track spanning one entire wall that contains a map of the two-week course. Right away, learners are able to visualize the entire process. For each module during the two weeks, participants return to the track to record their knowledge, answer questions, and solve problems in a fun competition to see who can cross the finish line first! After the initial activity, each participant receives a car game piece. To review each module, participants gather at the wall and roll dice, moving their cars on the track. Depending where they land, they have to answer a question and get a corresponding number of points according to the complexity of the question. At some questions, they can win a small prize or incentive. If they land on a roadblock or toll booth, they have to answer a question successfully in order to proceed during the next turn. Most of these are questions taken from actual calls that the rep was unable to adequately answer for the customer. Participants practice using their desktop reference material to answer the questions, which helps prepare them for answering customers’ actual questions when they get on the phone. If they answer an obstacle question correctly they can take the obstacle with them and use it against another player to slow them down later in the game. At the end is a “free for all” review where participants take turns answering questions randomly picked from any of the modules. The review lasts 90-120 minutes and culminates in a class winner who crosses the finish line first. Everyone gets a small prize, and the winner gets a grand prize. As an alternative, Junior has teams play against each other rather than individuals. All in all, everyone wins. Learners have fun, they create their own knowledge with each other, they get a chance to practice real-life job skills. 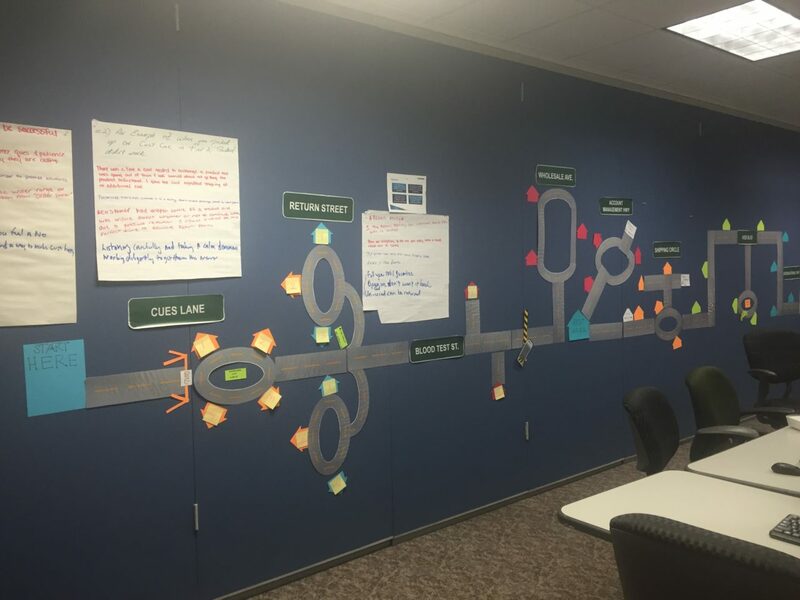 The race car track helps them visualize the big picture and their progress as they go through the program. The competition adds momentum and enthusiasm to a two-week program so learners don’t get bogged down, but can race through to celebrate their own success. And Junior? He’s not “teaching content”, he’s a “racing referee”, guiding the process from the sidelines.